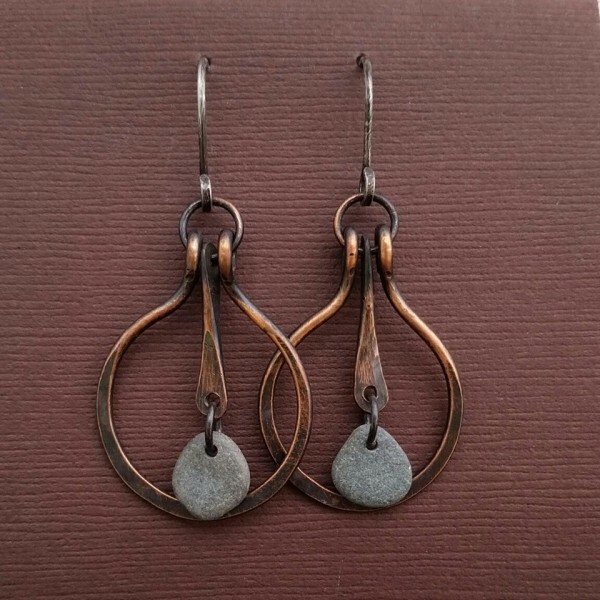 Oxidized Copper, handforged, with Maine Beach Stone. These earrings hang approx. 2 1/4" L from handcrafted sterling silver earwires. Each pair will be unique to you due to varying colors and shapes of beach stone.